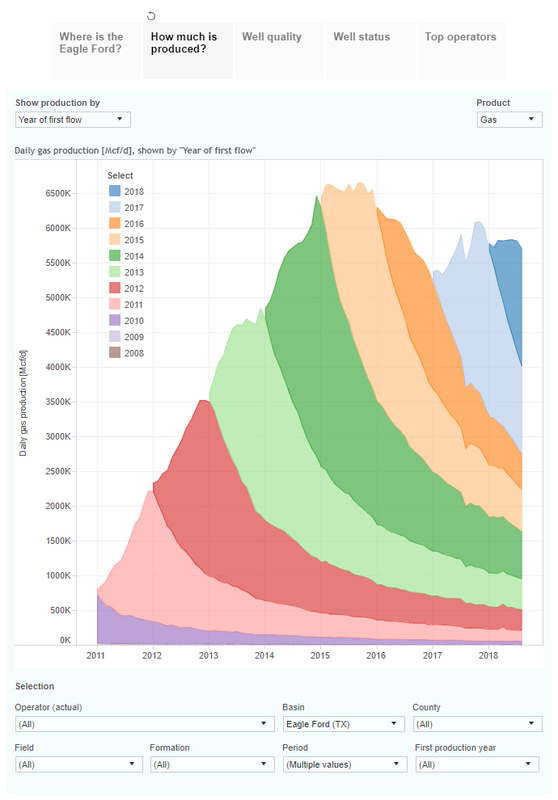 The underlying decline is clearly visible in this graph; you can see that the horizontal wells from before 2015 peaked at over 1.6 million bo/d in Dec 2014, and that the same group produced just 0.3 million bo/d in August. 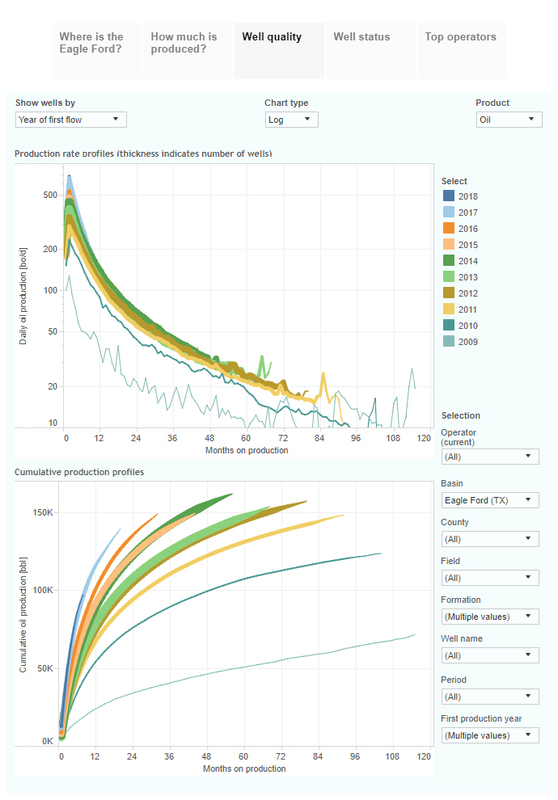 The main reason for the recent increase in oil production is not higher well productivity, as this has not significantly changed in the past 2 years (see ‘Well quality’). But about 5 wells have been completed every day in 2017 & 2018, on average, versus just 4 in 2016. I wanted to have a closer look at the well performance of the two leading operators, EOG & ConocoPhillips. 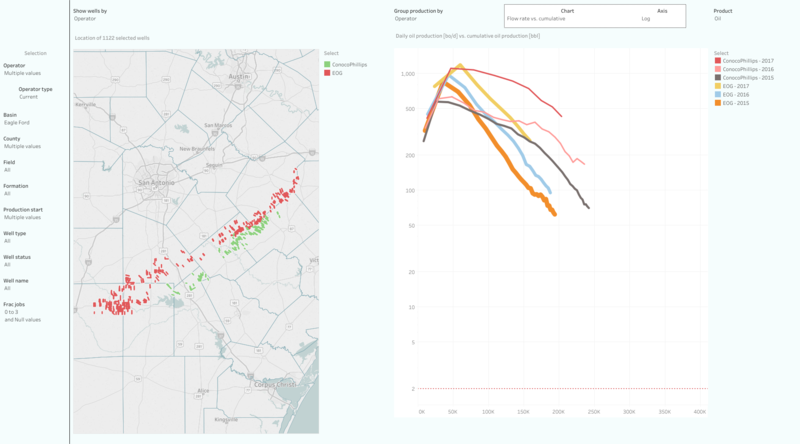 Here you find this comparison, for horizontal wells that started between 2014 & 2017, taken from our ShaleProfile Analytics service. 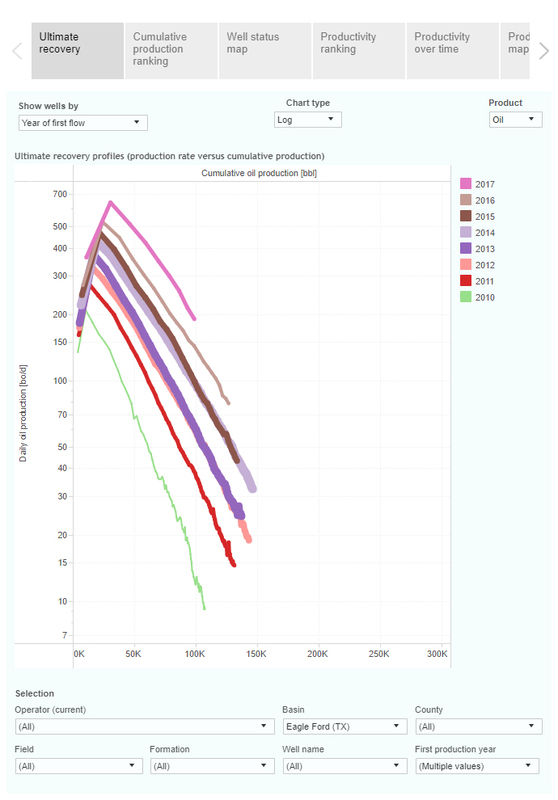 For each operator & year combination, you can see the performance curve on the right plot. Striking here is the difference in well behavior. 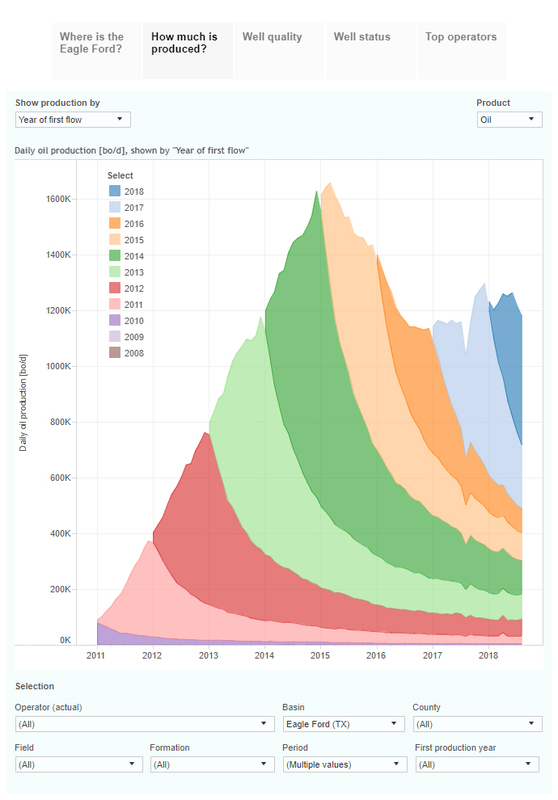 EOGs wells decline in a fairly straight line from the peak, while the wells operated by ConocoPhillips are able to maintain a higher flow rate for several months, before they display a steepening of the decline.